In a provocative re-evaluation, Yale psychologist Bloom argues that when it comes to both major policy decisions and the choices we make in our everyday lives, limiting our impulse toward empathy is often the most compassionate choice we can make. ... too highbrow to be a self-help or parenting manual, but parts of it could be. Its wingspan is too wide to be a simple guide to philanthropy, but parts of it could be that as well. And it’s a bit too clotted with caveats to be a seamless read, which is a shame, because it could have been, with more shaping ... Look past the book’s occasional loop-the-loops and intellectual fillips. Against Empathy is an invigorating, relevant and often very funny re-evaluation of empathy ... he is by no means making the case for heartlessness. His point, rather, is that empathy is untempered by reason, emanating from the murky bayou of the gut. He prefers a kind of rational compassion — a mixture of caring and detached cost-benefit analysis. His book is a systematic attempt to show why this is so ... More than any book I’ve read this year, Against Empathy is an overt, joyful conversation with readers. ...indictments against empathy are announced in the opening pages and repeated often in the pages that follow, as if out of concern that readers, like jurors, might forget the bill of particulars. More likely, this repetitiveness reflects the book’s origins. Bloom mentions having 'published articles in popular outlets describing earlier versions of these ideas' — outlets including the New Yorker, the Atlantic and the New York Times. Had the overlapping material from those articles been edited out, and had key claims against empathy been examined in greater depth, this would have been a leaner and more cogent book ... we also draw on the evolutionary legacy that Bloom believes we would be better off without: our ability to feel what others feel. That ability is more capacious than he suggests. Much of Bloom’s vehemence stems from the very narrow way he defines empathy as being distinct from compassion or sympathy, even if most people think of these as synonymous ... 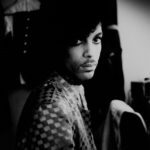 He sees empathy as only occurring in those moments when we feel exactly as the other person. This leads him to bizarre conclusions ... Unless you share Bloom’s unnecessarily narrow sense of what empathy entails, there’s nothing to say it can only be directed toward one person, rather than whole groups of people. I do, however, agree with Bloom when he argues that one can do good, and derive a moral code, without empathy, through the exercise of pure logic. 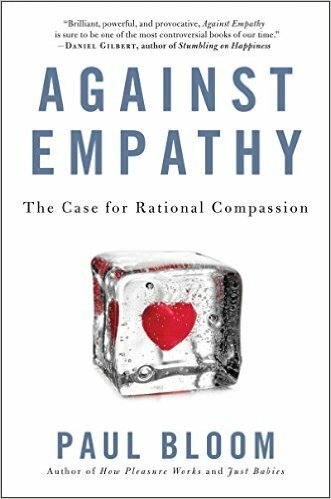 What did you think of Against Empathy: The Case for Rational Compassion?